We love a little old world glamour and like a rather dangerous lemonade, the Tom Collins is one of the old guard in the cocktail world. 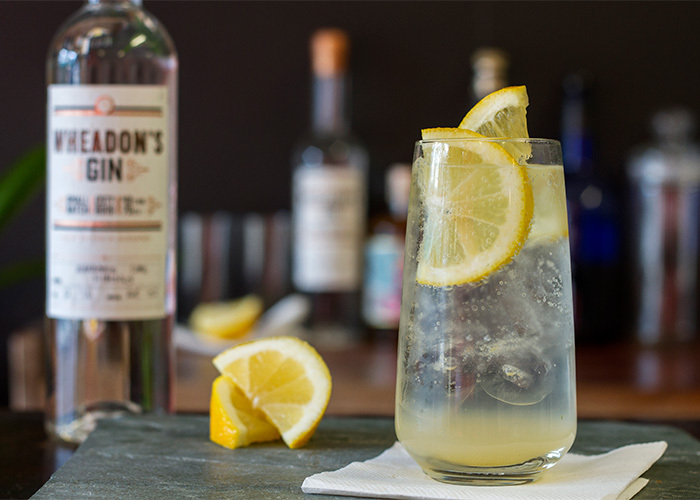 Rather unfashionable of late, a well mixed Tom Collins, using good fresh ingredients, is an absolute delight and makes a nice change to using tonic as a mixer. And as Guernsey is going to be gripped by 1940‘s fever this year (more about that another time) we think if there ever was a time for a revival, this is it. The recipe was first recorded down in 1876 in the States by the grandfather of cocktail mixing, Jerry Thomas, however given its simple ingredients, we can safely assume that this classic cooler is a good deal older. If you’re hosting a party, this works very well as a pitcher. Fill a tall glass with ice, add gin, lemon juice and sugar and stir well. Add a good dash of soda water, stir again, garnish with a slice of lemon and enjoy.